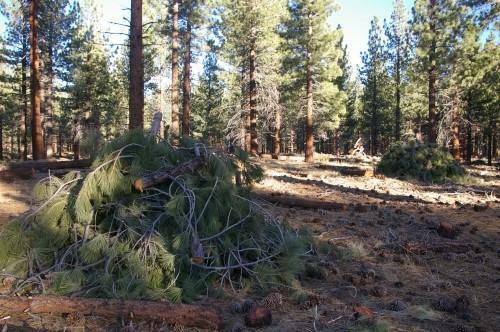 Forests in northern Arizona have a problem: massive piles of wood chips left behind from thinning projects. They can’t stay in the forest because of the fire danger and there’s no local market for them. But they have to go somewhere. A new experiment is testing the idea of burning them along with coal to generate electricity. It’s not easy to do, but if contractors can sell wood chips to power plants, that could speed up forest restoration. A wood chipper roars to life on Observatory Mesa west of Flagstaff. Logs, branches and pine needles go in one end of the machine and a cascade of flakes pours out the other. 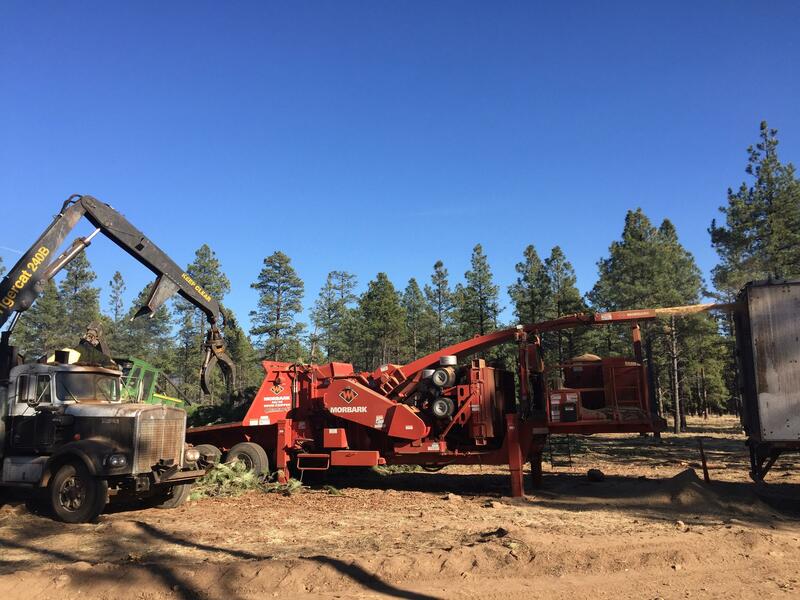 “You can almost think of this right now as a construction site in progress,” says Matt Millar, operations manager for the Flagstaff Watershed Protection Project, a local effort to thin forests around Flagstaff and prevent catastrophic wildfires. Slash isn’t valuable to anyone. Lumber mills don’t want it. It’s waste wood, not good enough for houses or tables or even pallets. Millar says contractors aren’t eager to take on restoration work because it creates a lot of slash and all they can do is burn it or turn it into wood chips. 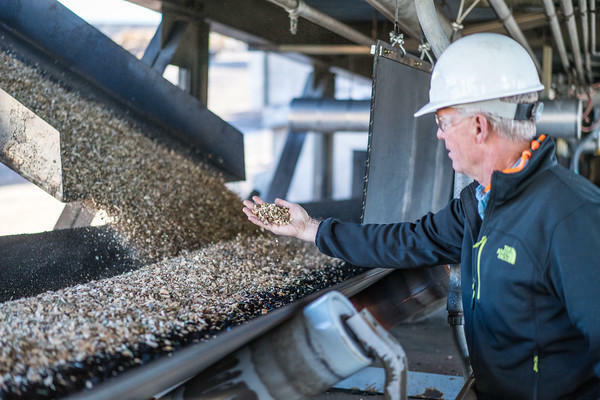 “The market for wood chips….Well, there really is very little market for wood chips,” he says. 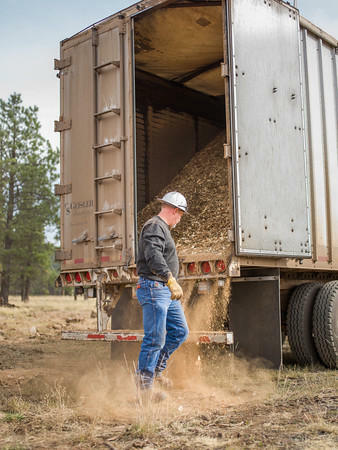 These particular wood chips are headed to the Coronado Generating Station in eastern Arizona. Managers at the power plant are running an experiment to see if they can mix wood with coal. 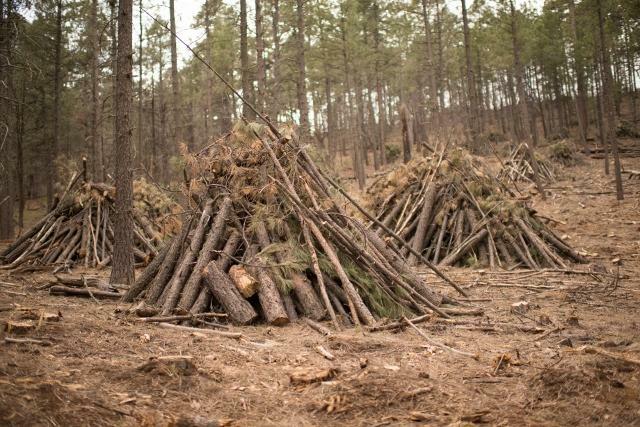 The idea is to create a use for this useless material and speed up forest restoration. Kris Pringle is the engineer in charge of the test, which began October 26 and continued through this week. “The day of the test, I gotta admit, I was so excited!” Pringle says. 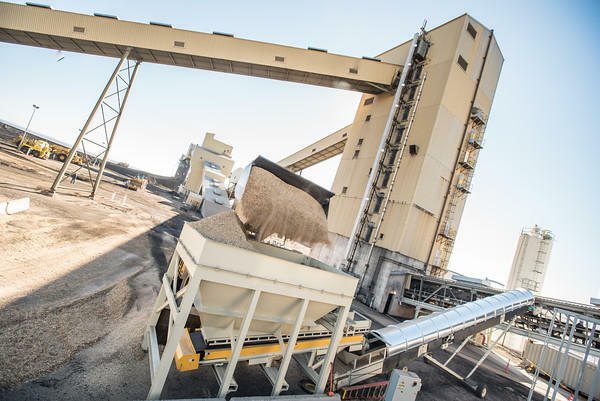 At the plant, a conveyor belt rumbles by loaded with coal. A chute adds a sprinkle of wood chips on top. This material is crushed and then burned to generate electricity. Pringle says the size of the wood chips has been a problem. Even after extra chipping and crushing, they look like flakes of oatmeal. “It’s so different than coal,” he says. Coal crushes into fine powder, unlike wood which clogs up the equipment. Bruce Hallin says it’s not the ideal fuel…but that’s not really the point. Hallin is director of water supply for the Salt River Project, which owns the power plant. He planned the experiment because he wants to protect the Phoenix area’s water supply, which is harmed by massive wildfires and the flooding that often follows. “The overall goal here is to ensure we have healthy forests, and by ensuring we have healthy forests, we have that healthy watershed,” Hallin says. Hallin hopes the experiment, if it continues, will encourage logging companies to take on restoration work. But he admits it’s expensive to truck wood chips long distances. “The issue is, can we get supply to this facility because we just don’t have the industry in place. So we’re almost getting the cart before the horse,” he says. If the test goes well, the power plant could potentially chew through some 1700 truckloads of wood chips a year. That’s a big deal to people like Henry Provencio, the “innovations and efficiencies” coordinator for the Four Forest Restoration Initiative (4FRI).  It’s huge federal project to restore forests in northern Arizona that aims to thin fifty thousand acres a year. A natural fit, but not an easy one. 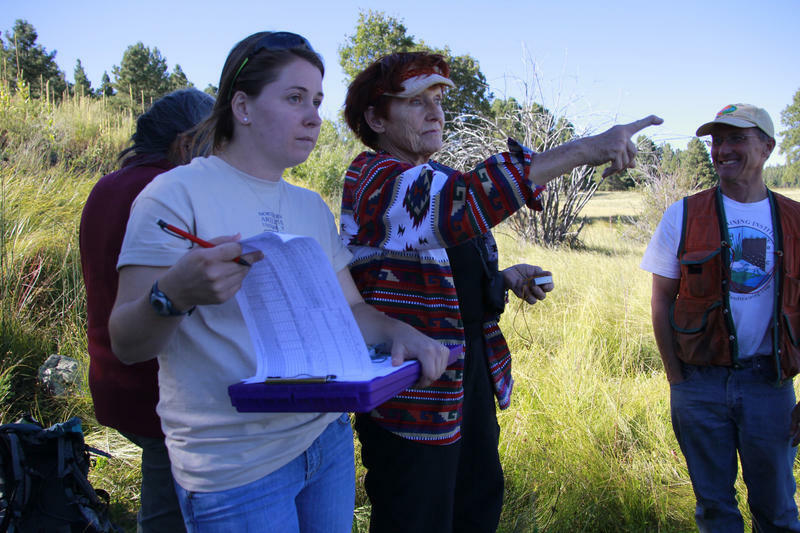 A kind of ecological treasure hunt is underway in northern Arizona … for thousands of springs scattered across the landscape. It’s such a vast area it’s hard to find them and monitor their health. So scientists are training ordinary citizens to help them in the search. Two students at Northern Arizona University have developed a first-of-its-kind methodology for calculating the carbon stored in forests. They want to use it to generate funds for restoration. 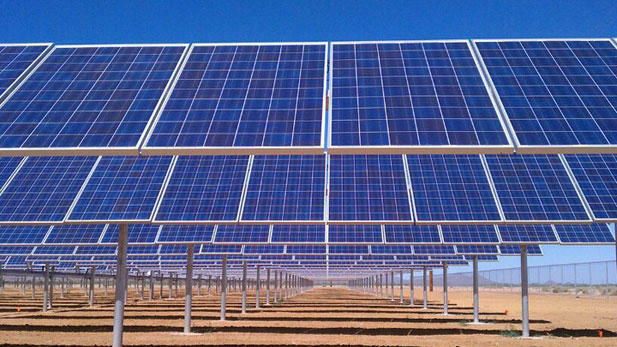 A member of the state's utility regulation panel says he wants Arizona electric utilities to nearly double the amount of power they get from renewable resources. 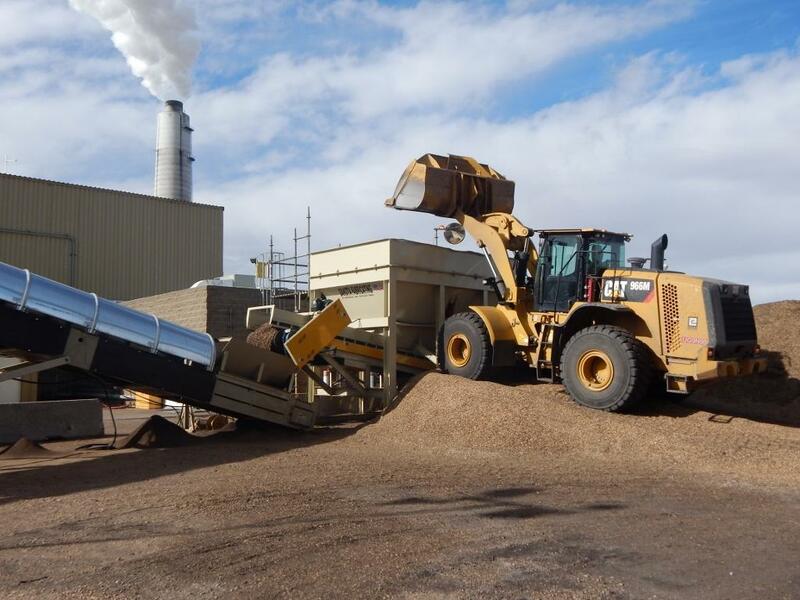 Arizona’s first attempt to generate electricity with a mix of biomass and coal will take place later this year, using debris from forest thinning projects in northern Arizona.